“P1 stresses the importance of costs and the drivers of costs in the production, analysis and use of information for decision making in organisations. The time focus of P1 is the short term. 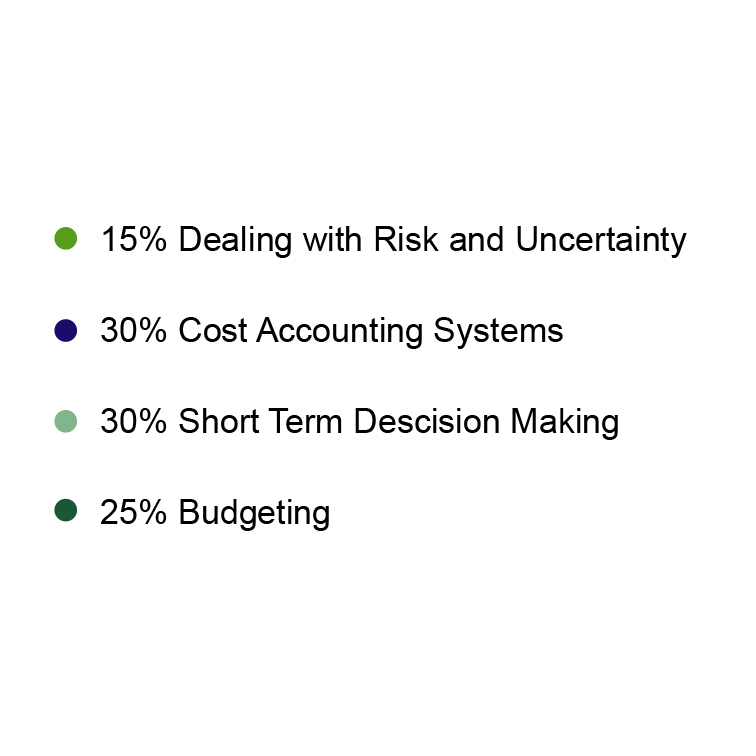 It covers budgeting as a means of short-term planning to execute the strategy of organisations. In addition it provides competencies on how to analyse information on costs, volumes and prices to take short-term decisions on products and services and to develop an understanding on the impact of risk to these decisions. See how the P1 exam fits into the whole CIMA syllabus here. You will be assessed through a 90-minute long computerised objective test consisting of 60 equally weighted questions. 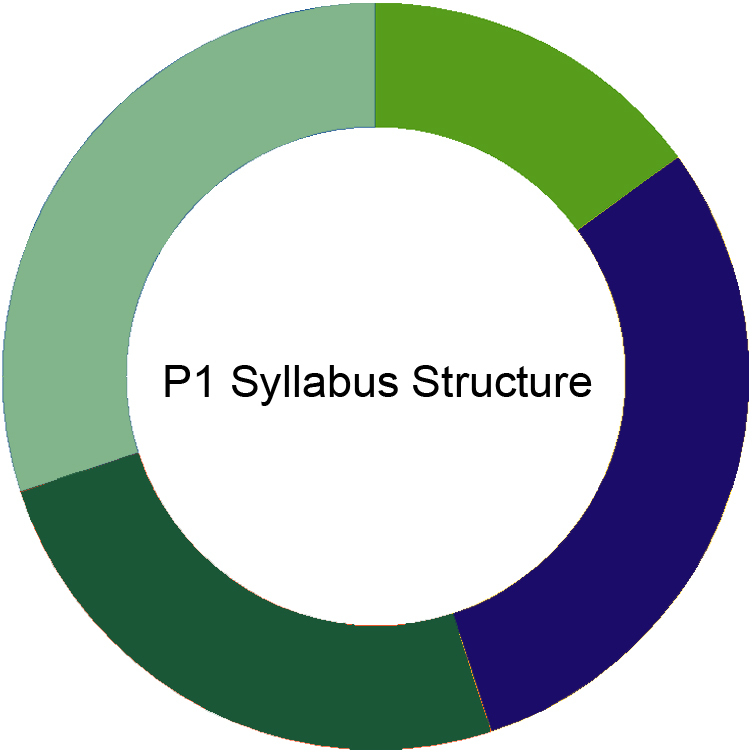 All learning areas of the syllabus will be covered, therefore it is important that you revise ALL topics for the exam. The topic weighting mentioned above will also be reflected in the test. The pass mark is 70%. Every exam is randomly generated by a computer, therefore the questions are presented in no specific order and each student takes a different test. Multiple choice & multiple response questions – You will be required to select the correct answer/answers from the several answers presented to you. Drop down questions– You will be asked to select the correct answer from a drop-down list of possible answers. Drag and drop questions – You will be asked to move an object/label to another location. Hot spot questions – These will require you to identify an area on an image by clicking on it. Your results will be available as soon as you have finished your test. You will also be given feedback alongside your mark.